Lisa has been playing 5-string banjo for over twenty years and is regarded as one of the top melodic players in the region. 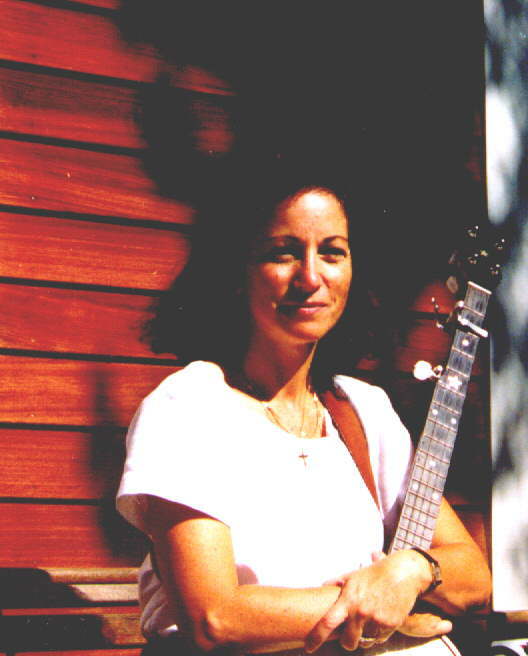 She is the co-author of The Complete Book of Clawhammer Banjo and is presently working on her second Mel Bay publication titled Old Time Music for Clawhammer Banjo. With the help of Sandol Astrausky, this book is evolving into a wonderful collection of contra dance tunes for fiddle, banjo guitar and bass. Lisa's work will also be included in a "Collectors Edition Anthology of Banjo Solos that will include some of the world's finest banjo performers. Lisa has a BS in Music Education and is presently teaching at Chariho Middle School in Wood River, RI. She is a recipient of a Folk Arts Apprenticeship Grant from the Rhode Island State Council on the Arts and has served as a panelist for the State of Connecticut Commission on the Arts. Lisa currently resides with her family in Hope Valley, RI.